Tom Ghinder founded Akron Promise, Inc. with his wife, Daralee Ghinder in 2015 to help shape a culture of education in Akron. Tom and Daralee have been residents of Akron for 25 years where their children attended and graduated from Akron Public Schools. Tom spent his professional career in IT specializing in data analysis, data quality, and the interrelationship of systems. Last week, the Upjohn Institute hosted a information webinar, “Learning from a Decade of College Promise Scholarships”, on data, metrics, and the status of Promise programs in the US. I invite you to view and consider how, together, we can bring a Promise program to Akron and the affect such a program would have on our community. Registration is still open for PromiseNet 2017, November 6 and 7, in Kalamazoo, MI for those interested in attending. Fall 2017 Update – VOLUNTEERS NEEDED! Instead of tackling the entire district, we’re starting with one school. It’s known that at-risk kids (and at-risk families) need lots of help with post-secondary navigation. We are working with Akron Public Schools to help 25 seniors navigate the requirements to succeed after they leave high school. The focus will be on working with the students and families so that they know about job and educational opportunities, completing the FAFSA, applying to and visiting colleges, and preparing for life after high school. To do this work, WE NEED VOLUNTEERS! Please contact us via the methods mentioned at the bottom of this update if you are interested in this important work. No experience or prior knowledge is required! PromiseNet 2017 will take place in Kalamazoo, MI on November 6 and 7th. PromiseNet is an annual gathering of people seeking to transform their communities by making a long-term investment in education. Akron Promise has attended the last three conferences with other local education stakeholders. Each year there is more to learn about how to develop and shape a program. There is something to learn for everyone! If you would like to attend with our group from Akron, please let us know via the contact information at the bottom of this update. More information about PromiseNet 2017 can be found here. The cornerstone of every Promise program is to remove the financial barrier from post-secondary educational attainment. We are learning about current scholarships, focused on graduates of Akron Public Schools, to make them more accessible for students. More dollars for students has been, and will continue to be, one of our goals. A beautiful thing about Akron is that people are always willing to help! In addition to city, state and county assistance, we continue to find out about smaller, grass-roots organizations offering a variety of assistance to Akronites. This year, we will be looking at resources in the Kenmore Garfield cluster neighborhoods and work with leaders in them to find ways to connect people in need to the help available. You can’t just throw scholarship money at kids and expect them to succeed. In addition to others in our city, we know how important the wrap-around supports are in getting our graduates enrolled, employed or enlisted. We all need to support our kids from cradle to career – it truly takes a village. If you’d like a role in Akron’s village, please contact us via the links below. Read about how you can support scholarships for Akron Public School students here via Amazon Smile. And please follow us on Facebook and Twitter to stay informed as we continue to shape the community involved culture of education in Akron! To be sure to stay informed on future updates, please join our official mailing list by signing up here! For further information, please contact Tom Ghinder at TGhinder@gmail.com or (330) 329-4855. ​Now is the time to begin planning on how you can contribute to the future of Akron. 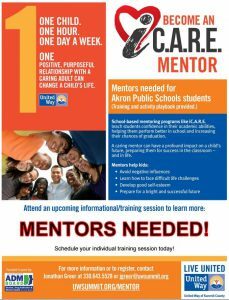 One possibility is to mentor an Akron Public School student via iC.A.R.E. mentoring. Mentors go through a short training, background check and are provided with a activity playbook and guide to provide a framework for developing your relationship with your mentee. Mentors are given much flexibility in the program and they determine which schools they wish to be matched with and choose the time of each meeting. Students are matched to mentors by coordinators that take into account the needs and desires of both the student and the mentor. People of all ages and experience are needed. No one is too young or too old to participate. Our youth need caring adults in their lives. I encourage you to fill out this profile and begin the process. YOU can make a profound impact on a child’s life. Akron Promise has linked with the Amazon Smile program in order to take advantage of the 'collective spending' of our community to benefit the students of Akron. When buying most products via Amazon Smile, Amazon will donate a portion of each sale to the charity of the your choice. Amazon has created this FAQ that may answer more questions. Please consider selecting Akron Promise as your preferred charity when you use AmazonSmile. Use this link to select Akron Promise as the charity of your choice. Once you have selected your charity, be sure to use the url smile.amazon.com rather than 'www' each time you make a purchase. If you use the app on your phone to purchase products, the smile benefits are not available. Some users solve this issue bynot using the app at all, or switch to their browser once their cart is ready to order and place their order using their browser. All proceeds from AmazonSmile will go to scholarships for Akron Students. Announcing the Weiss Institute. This work matters! When you’re at the same conference as Retired Gen. Colin Powell; his wife, Alma Powell, chairwoman of America’s Promise Alliance; 240 educators, philanthropists, business & civic leaders and impassioned citizens; and your keynote speaker is Bill Clinton, you know you’re at something important. THIS WORK MATTERS. Our first day was with Say YES To Education (SYTE), sharing their strategies and best practices. In particular, Promise programs need to be COMMUNITY driven. Data sharing, reciprocal obligations and public commitments are imperative for success. We heard from a panel of college presidents who emphasized the significance of investment in their students in the form of financial aid, persistence support and mentoring. Dr. Alex Johnson, President of Cuyahoga Community College, expressed the importance of getting younger children involved in the arts and their community, keeping them more engaged in school. Community Stakeholders must be patient in looking at results. While graduation, attendance and discipline have significantly improved, this is a cultural shift and takes time to infiltrate the system. Creative reallocation of state and federal dollars. For example, access to family needs programs are IN every school, removing the transportation barrier. Community stakeholders are around a table every 2-3 weeks, solving problems. At the end of a very informative day, we celebrated the 20th anniversary of America’s Promise Alliance. The “Five Promises” of appropriate developmental resources for youth. These can be used as a guideline for the work of improving the culture of education in Akron. Programs offered should help to achieve at least one of the five promises. Each of the five promises should be addressed comprehensively. Private Sector Public Commitment, discussing “Conscientious Capitalism” (choosing to follow a business strategy, in which they seek to benefit both human beings and the environment). Dr. Nadine Burke Harris, Pediatrician, Founder & CEO, Center for Youth Wellness spoke about a study on the neurological effects of adversity on brain development in children: If children can’t transform or process their pain, they will transfuse it to others. The more relationships a child has, the more ‘buffers’ exist to help diffuse emotional distress. Studies have shown that elementary-age students who participate some kind of Arts program (dance, singing, instrumental music, etc.) can better transform their “toxic stress”, are less likely to have discipline problems and more likely to be successful in school. a call to action by Colin and Alma Powell and by former President Bill Clinton, in his keynote speech. This blog post doesn’t include everything we saw, heard or learned, but the continuous theme of our two-day conference was that THIS WORK MATTERS. Since 2008, less than 1% of all jobs have gone to people without post-secondary education. It is urgent for us ALL to do what we can to help our kids get through school successfully, and onto the appropriate post-secondary education that leads them to a fulfilling career. Akron Promise is currently working to bring the Weiss Institute to Akron to explore what we can do together to improve the culture of education for our community. Today, I came across this article from 2014 that identifies fourteen items that need to be examined and changed to support learning required in our 21st Century society and economy. The article doesn’t propose specific solutions on all items, but identifies possibilities and reasons that the status quo must be changed. Many schools are already implementing the changes which have been suggested here. A significant point that isn’t mentioned, but is evident based on the list is that schools must be nimble and open to change in order to address the needs of students as society continues to change. 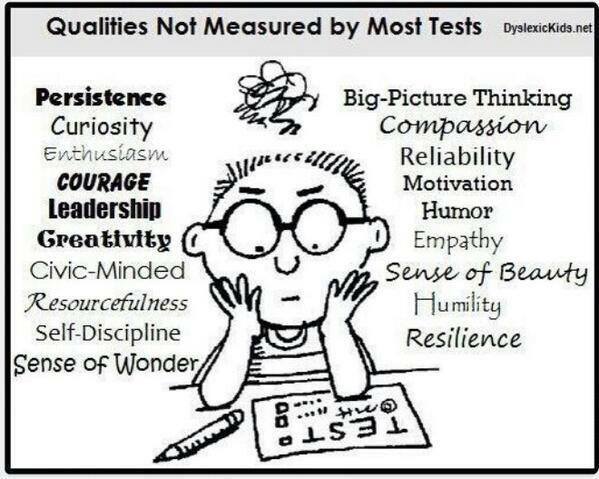 This list isn’t finite, but will change again and again as the needs of the students change. Do you have other ideas of things that are now ‘obsolete’? This article invites all of us involved in education to continuously review the status quo and be prepared to respond to new requirements and situations in order to provide the best possible education for our students. The second quote is addressed to teachers, but I believe that all who have a passion or interest in education can take to heart and find ways to invoke change to improve opportunity for our next generation. 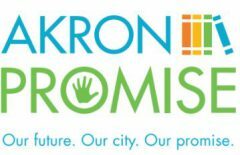 In this 16 minute video, the LeBron James Family Foundation, Akron Public Schools, and the City of Akron announce the creation of the “I Promise School”. The LJFF has many partners working to make this school a reality. A key component to these efforts are the contributions of individual community members. There is a role for everyone in the education of the next generation. I encourage everyone in Akron to ask “What can I do?” and then step up and help make a difference in our hometown. Summa Donates Lab Coats. What Can Your Business do? ​All community businesses have the potential to contribute resources to our students. Summa Health recently donated old lab coats to the students at Akron’s National Inventors Hall of Fame STEM Middle School. You can read more in this article at Ohio.com. What can YOUR business do? Various opportunities are available for all kinds of businesses for all sizes. Invite one or more students to visit your place of employment or work site. Speak at a career day or in a classroom about your business or your role in the business. Volunteer to provide assistance or sponsor a community event. Give employees time off or other incentives to provide mentoring or to be a classroom volunteer. Provide financial support for a classroom, school, academic event, sports team, or arts organization. More information about current needs and opportunities can be found on the APS Website. There is a role for everyone in educating our next generation. What can YOU do? Akron Promise is here to promote education support from cradle to career. This post addresses the issue of education and preparation that must occur for a student to be ready to learn when entering formal K-12 education. In this 15 minute talk by Timothy Bartik, he makes the economic case for preschool. Below, I have selected two quotes that intrigue me. He concludes with this challenge. Use this link for an interactive transcript.